I photographed Ghanaian investigative journalist Anas Aremeyaw Anas in Oxford for M Le Magazine du Monde. 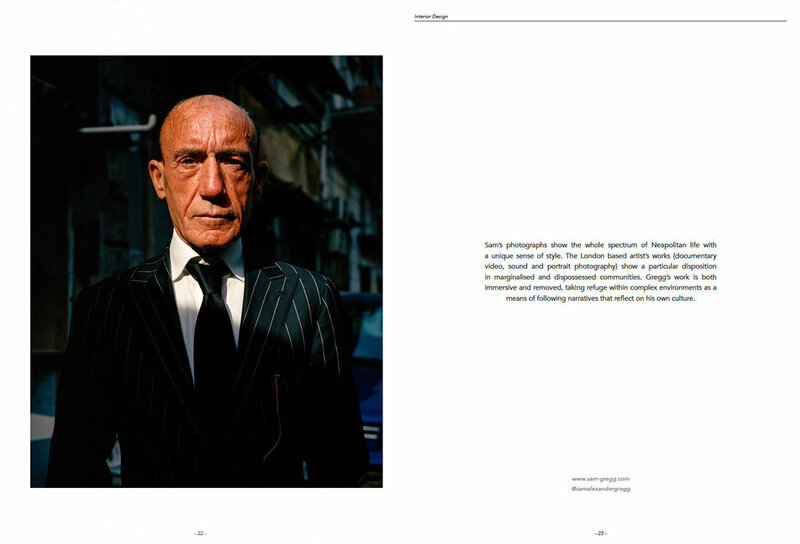 It’s Nice That did a feature on my latest series, Blighty. You can read the full interview here. 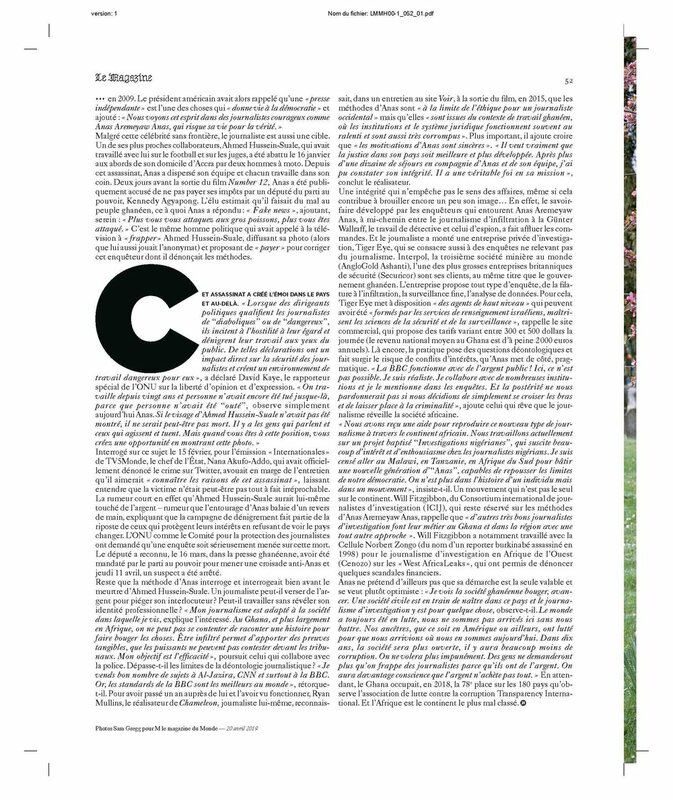 New article up on i-D Italy about See Naples and Die. Neon Dreams in the ‘Hustle’ issue of Lodown Magazine. 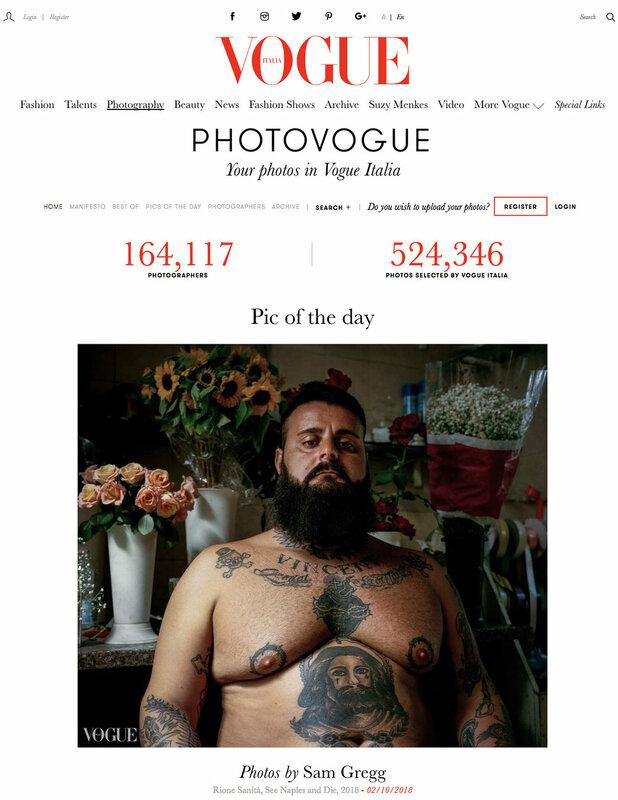 It’s Nice That photography review of the year. Article here. The Vegetarian Festival for issue 55 of Joia Magazine. 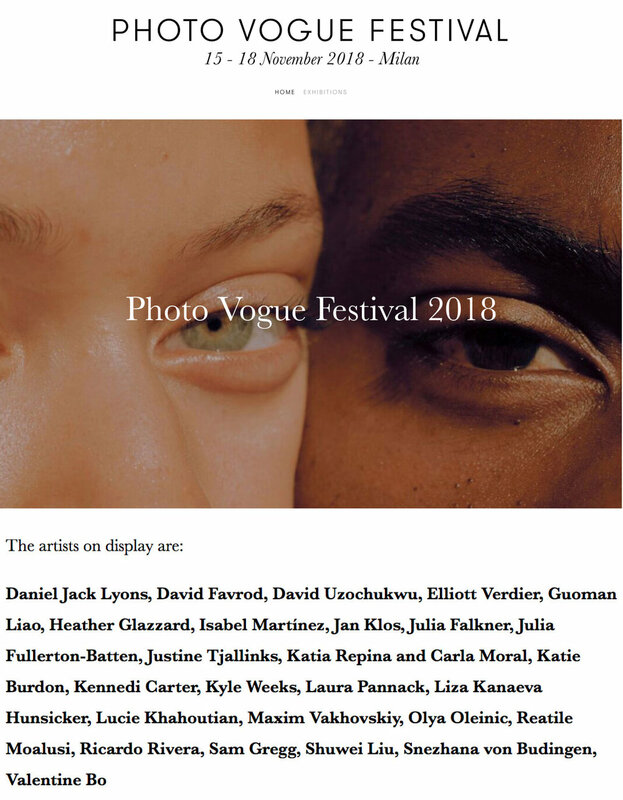 The opening of Embracing Diversity at Photo Vogue Festival. Honoured to have exhibited alongside an array of incredibly talented photographers. 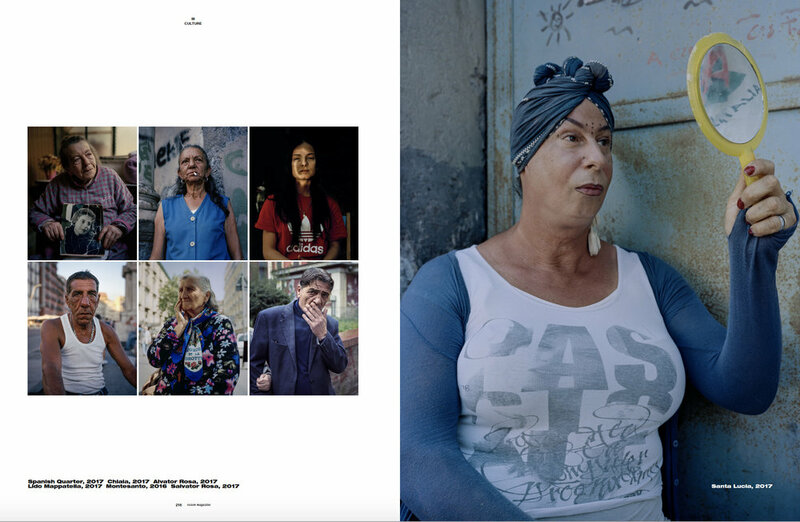 I’ll be exhibiting at the 3rd edition of Photo Vogue Festival, as part of the group show, ‘Embracing Diversity’. 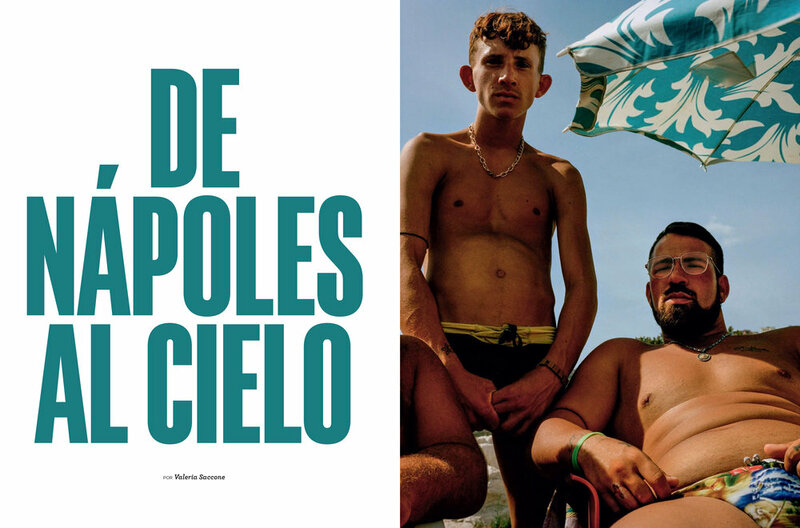 See Naples and Die featured as Editor’s Pick on booooooom. I recently did an interview with mor.bo about an older series of mine, The Vegetarian Festival. See Naples and Die is featured in Issue 176 of Vision Magazine China. I recently did an interview with Dazed about my series Neon Dreams. You can view the full article here. See Naples and Die is featured in the 4th issue of Haikure magazine, released at the 2018 Pitti Uomo. An absolute honour to be featured alongside two of my idols, Noboyushi Araki and Tom Wood. Artist Sol Bailey-Barker shot at his studio for Volume 1 of Sculptorvox. The opening of Vogue Italia's 'When Ethics meet Aesthetics' at the Leica Gallery Milan. 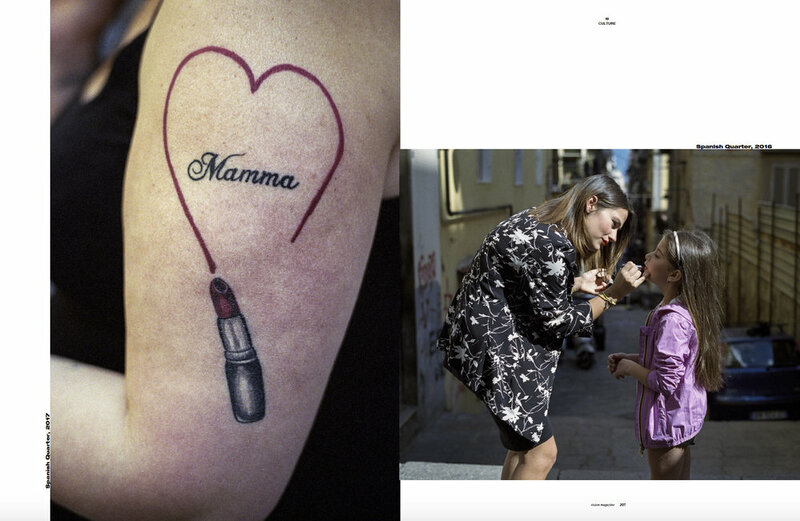 I'll be exhibiting at the Leica Gallery Milan as part of the Vogue exhibition 'When Ethics meets Aesthetics'. The exhibition kicks off Milan Photo Week on June 4th and will be open until June 26th. See Naples and Die is featured on the Italian news channel, The Post International. Here is a link to the full article. See Naples and Die is featured in the May issue of Yorokobu. 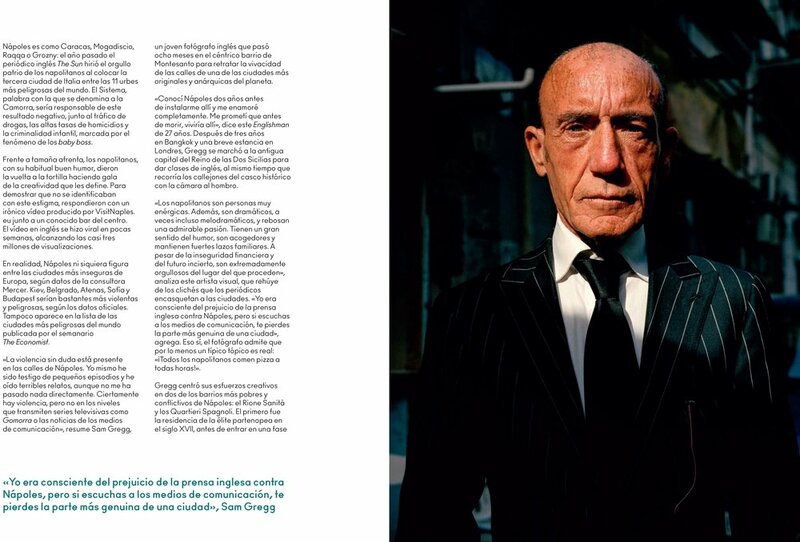 I did an interview with the French magazine Fisheye on my series See Naples and Die. You can read the full article here. 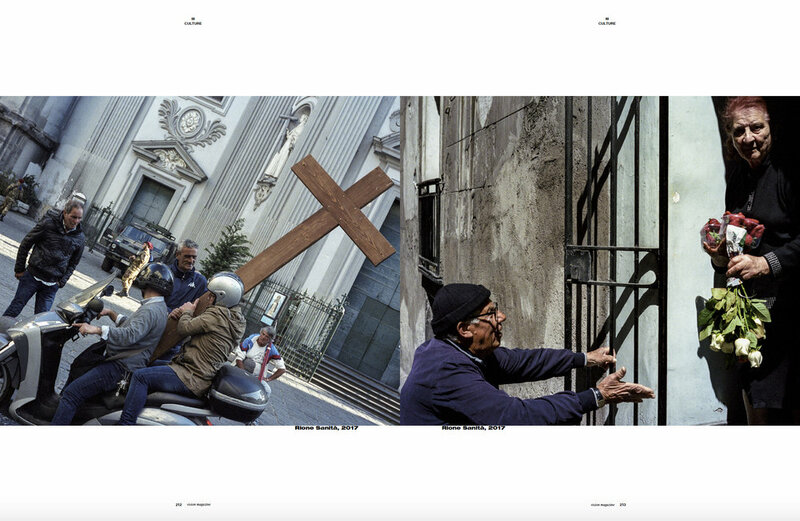 Gup Magazine did an article on my series See Naples and Die. You can view it in its entirety here. 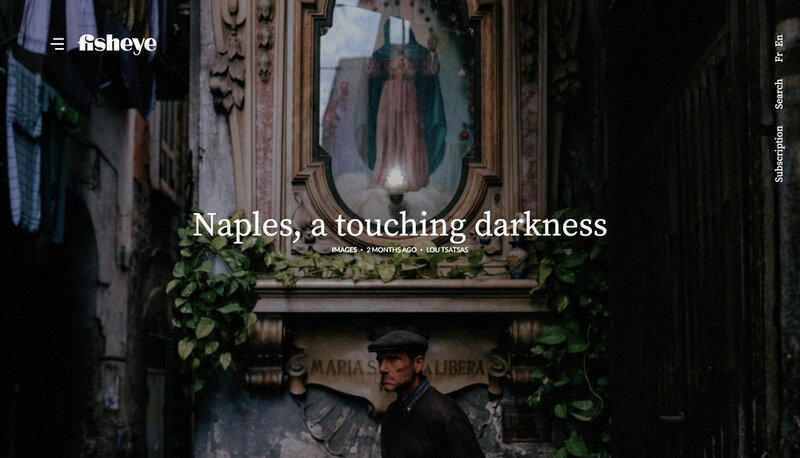 It's Nice That recently did a feature on my series See Naples and Die. You can read the full article here. 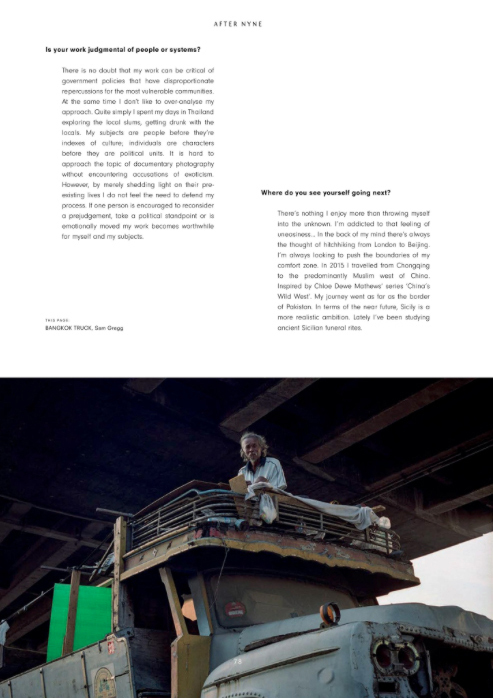 For Issue 14 of After Nyne Magazine I was interviewed by Gabriella Sonabend, Gallery Director at The Gallery of Everything. We spoke in-depth about my practice, from its initial beginnings to my current project and future aspirations. Rose McLaren, writer and artist, has written a wonderful foreword for The Vegetarian Festival. The Koppel Project regularly puts on sale various prints from my Neon Dreams series. To keep up to date with these discounts just check the online shop. The Koppel Project shop is up and running. Prints from my series Neon Dreams are now available to buy online. Please contact either myself or info@thekoppelproject.com if you wish to purchase a print that is currently not in store. 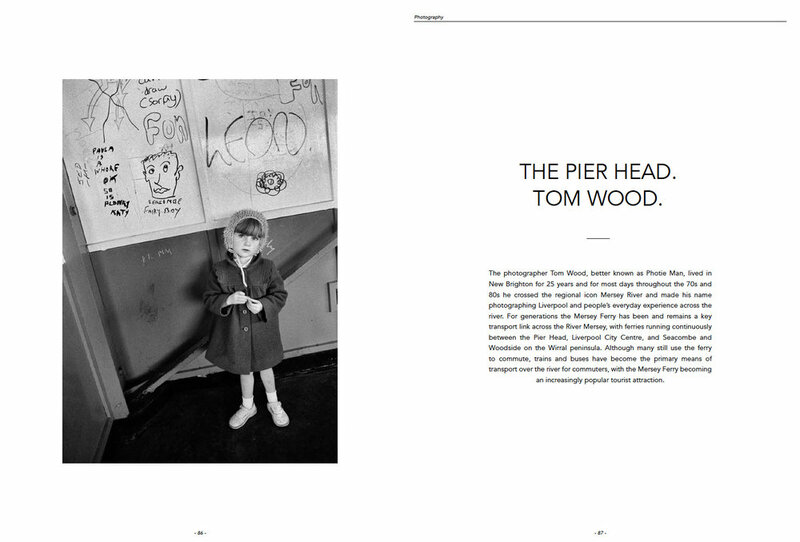 Featuring selected photographs from Neon Dreams. I recently participated in a group discussion with Baroness Helena Kennedy at The Koppel Project. The discussion revolved around human rights and the current refugee crisis. I spoke about my time documenting the slums of Bangkok and the human rights of its inhabitants. Below is a short documentary I made about the slums of Bangkok. It is shot from the front of a train making its daily dissection through the heart of the area. It features several interviews and audio clips and is designed to be a completely immersive experience. It was recently on display at The Koppel Project as part of the Refuse: Refuge: Refuse exhibition. Support a wonderfully talented artist and buy the EP here. Set Photography for the UK feature film Trafficker.